Our society is obsessed with beautiful body images. It seems as though everywhere that you look is another ad for a weight loss supplement. The movie screen and magazines also teach us what we are supposed to look like. Of course, getting these beautiful bodies is difficult and the trouble is not only forced on women. Men also face the same insecurities that are caused by the outside world. Because of this, many men and women become addicted to dangerous things like anabolic steroids in the hopes that they will be able to get these perfect bodies. Roids: Extremely aggressive behavior in men who take large and recurrent doses of anabolic steroids without professional doctor’s supervision. While there are some pretty dangerous side effects for the person taking these steroids, most of the time, the people around them are also in grave danger. 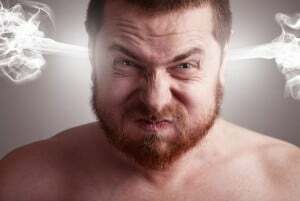 Because of the severe changes in temperament and the addition of aggression in the user, loved ones have become hurt when the person taking the steroids go into what is called a ‘roid rage’. Read more about the health consequences of steroid abuse. So, even though there is the benefit of massive amounts of muscle growth and strength, it is best to think about your loved ones as well. While it is great to look good and the results can be amazing, you may find that you wind up doing something that cannot be undone and that you will regret for the rest of your life when you begin abusing anabolic steroids. How are They Supposed to be Used? While the side effects of anabolic steroids are very dangerous, it is possible to use them in a safe way. To do this, you must be under the care of a doctor who will monitor your progress and the side effects that you are seeing. There are many times when anabolic steroids are used in a professional setting, but this is usually when a young person has a genetic disorder or have not entered into puberty at the right time. If you are healthy, you should stay away from illegal anabolic steroids. It is also not possible to get these steroids except from a doctor. If you are healthy, you will not be able to get a prescription for them. Of course, you can still get them through the black market, but these are from unreliable sources that are not licensed. For this reason, there are concerns regarding what the products are actually made of. Do the Affect both Men and Women? Men and women will both be affected negatively by anabolic steroids. However, since their bodies are different, the results will be different as well. Usually, when women begin abusing anabolic steroids, they will begin appearing more masculine. This may mean that they develop rough skin and additional body hair. Men on the other hand may begin developing extra breast tissue. It can also make it harder for them to produce children. In some cases, anabolic steroids have made men completely sterile! While most of the damage that a man will see will be to their reproductive organs, there are many other health concerns that you should be aware of as well. After all of this bad news, it’s time for some good news. There’s products out there that are safe, legal and produce the same results as anabolic steroids! Yes, that’s right; you can avoid all of these nasty side effects, but still get the body that you have been working so hard in the gym for! 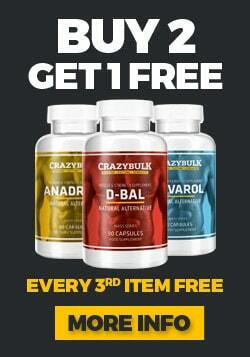 These products come from CrazyBulk and there is a huge product line available to choose from. Not only are these products legal, but they are safe and you don’t need a prescription for them either! They have been manufactured and formulated in the US, but are available for shipping anywhere in the world! So, make sure that you check out these amazing products before you begin taking dangerous anabolic steroids.